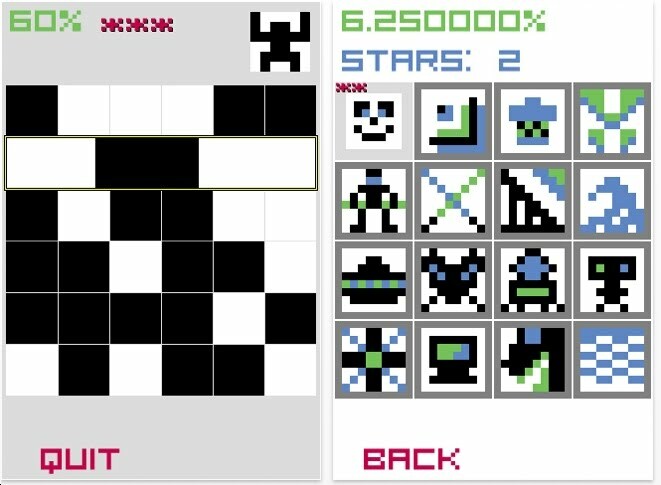 If you've been following this blog, then you have seen half a dozen or more puzzles very similar to Pixel Shift. Slide the rows and columns to match the figure. This one has a very nice interface. Solve a puzzle quickly and receive 3 stars. 2 stars for medium speed. 1 star for slow. Martin Robaszewski created this app. It's free, so play it a few times.